First, I’ll like to thank Sunrise for the sample. Sunrise has had its up and down this year so far but they are not slowing down. Knowing that the China-market-oriented Xcape v2 missed its mark on the Western front, Sunrise is more than ready to replace it with something more worthy of being called the successor of the well-received original Xcape. 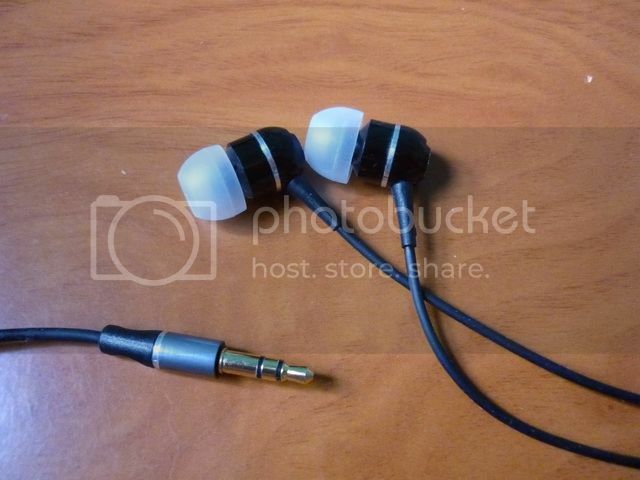 After all, this new IEM is called the Xcape "Impressive Edition". Driver: 9mm silver coil dynamic transducer. Cable: 1.2m, gold plated 3.5mm plug. Since I only received the sample and not the full package, there really isn’t much to say. Xcape-IE shares the same design as the already reviewed Xcape v2 (discontinued) and Xcited so I will just repost the same section from the old Xcited ("B") review. The only differences between Xcited and Xcape-IE are on the marking on the Y-splitter and color – Xcited will have a gunmetal grey finish while Xcape-IE will have a black finish on the earpiece. Otherwise the two are pretty much identical in build quality. As far as I know, the packaging and accessories of Xcape v2 is pretty much the same as the original Xcape. In such case, I won’t want to write about the same stuff twice. If you are interested, please read my previous review of the original Xcape for more detail. The very obvious difference between the two Xcape models is of course the change in outer design and basic build quality. I have had the original Xcape for over half a year now and have yet to have any issue regarding build quality. The Xcape v2 (as well as ‘B’, which uses the same housing and design) is said to be even better in build quality, where a denser alloy is used for the new housing as well as a new cable that is better at resisting mechanical stress. The inclusion of metal shell on both the stereo plug and Y-splitter are said to be serve both an aesthetical and stress resisting purposes, though I would like to see proper strain relief as well. Isolation is about average, microphonics is decently low. Overall the new Xcape v2 does look classier and better build then the original Xcape. The only complain I have is the lack of chin slider which was included in the original Xcape. 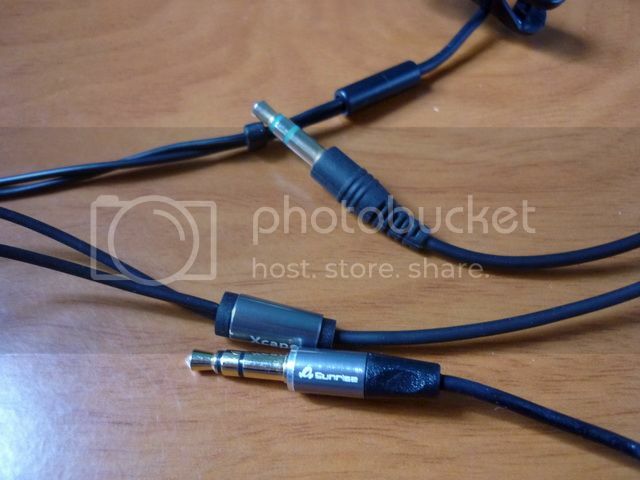 It doesn’t mean much when you are wearing the IEM straight down, but it could still be very useful for holding the cable down when it is over-the-ear. The same conclusion applies to ‘B’ as well. The IEM has been given about 200 hours of burn-in. No significant change was detected except perhaps a little bit more refined in overall presentation. Calling the new Xcape the ‘impressive Edition’ is a bit of risk for Sunrise, especially after the original Xcape owners don’t find the Xcape v2 an upgrade over the original. Thankfully this 3rd generation of Xcape does outperform its predecessors and really aims to impress. The original Xcape has a classic Sunrise house sound, which is largely neutral with a slight warmness radiated from the central upper mid. 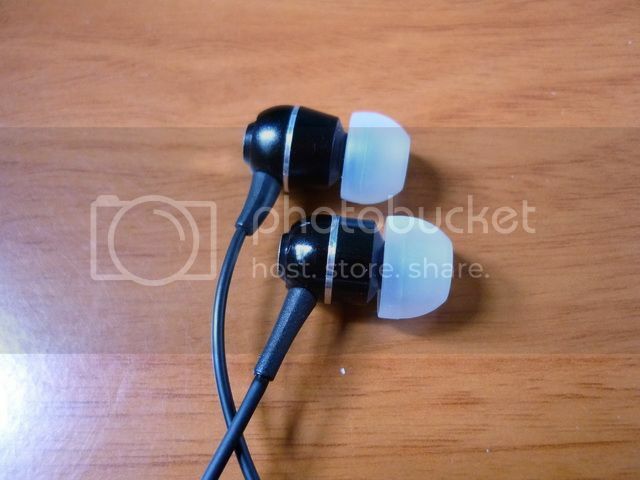 The Xcape-IE retains mostly the same flavor, brings the overall sound a little more forwarded with a touch of intimacy, some added texture, bass and soundstage. The overall sound signature of Xcape-IE is warm, sweet, full and smooth. Bass is where it is most different from the old Xcapes. It is full, punchy, well bodied though misses some of the really deep note. It is a good balance between quantity and quality and should be quite satisfiable except for the most serious of bass addict. Mid is lusher and more rounded but slightly less textured compared to the original Xcape (which is its strength), but overall still above average. It takes away a little of the technicality but adds back some intimacy and richness to the mix. Treble, while still decent, takes a step back on the whole presentation. It has the same sparkle, but in smaller scale and doesn’t sound quite as crisp as the original Xcape. While not totally lacking in micro detail, it is not quite as analytical as the original Xcape or analytical IEM in general. I think it is safe to conclude that the focus of the overall sound has shifted from the original Xcape’s upper-mid-lower-treble’s detail to more of a lower-mid-upper-bass’s texture. Soundstage is above average. It might not have the same dark background as the original Xcape, the overall positioning and imaging are improved and feel less 2D. While I do find Xcape Impressive Edition to be upgrade over Xcited and the original Xcape, it is not something very major. On one hand, Xcited is turning the Sunrise house to another direction; On the other hand, Xcape-IE is trying to gives the original Xcape a more warm and musical presentation. For those who enjoy more detail and bass together, Xcited will be a good choice. For those who prefers smooth and warm, Xcape-IE will be more fitting. Between the two, I reckon Sunrise has the market very well covered. Since Xcape-IE is priced the same as the original Xcape, it is just as good a successor for the original Xcape’s Sonic Diamond, much like Xcited. For a quick sum up, check out The List. NOS - New Old Stuff?